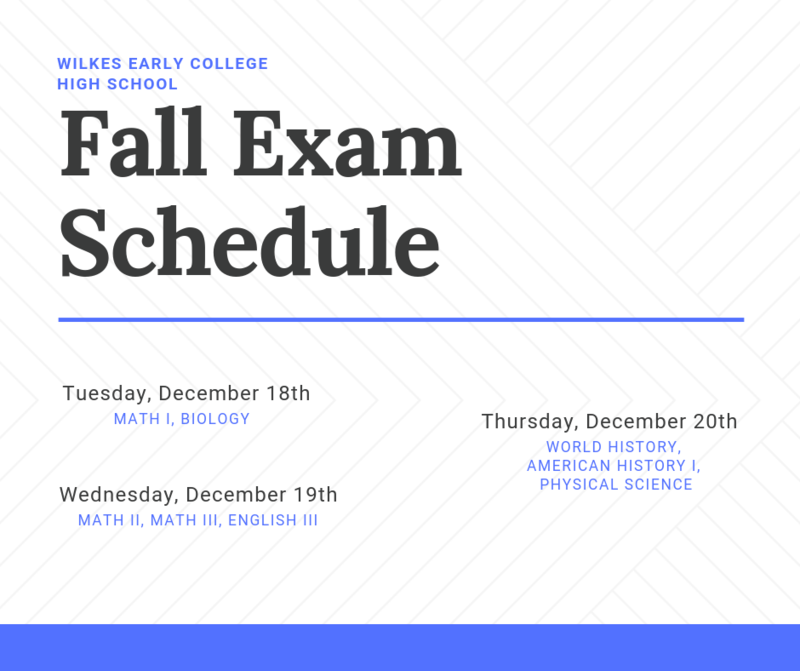 Fall Exams will begin Tuesday, December 18th - Thursday, December 20th. Please find the listing of each day in the link above. 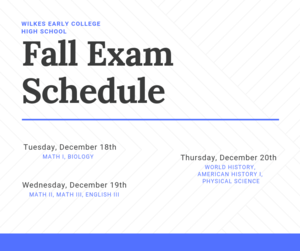 Students, please get plenty of sleep and have a good breakfast, testing will begin promptly each morning at 8:15.